Using market research, Nissan noticed that most 4x4 drivers never took their cars to off-road environments. Instead, people bought cars for their commanding driving position, space and looks. 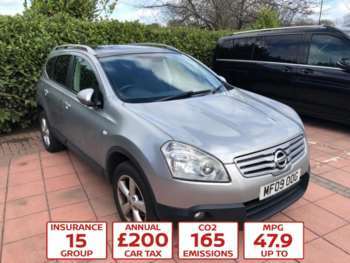 Their designers combined the hatchback, off-roader and MPV to create the Qashqai, which offered urban benefits without the drawback of poor fuel economy. Since then, Nissan has capitalised on the popularity of the Qashqai, creating the Qashqai+2. 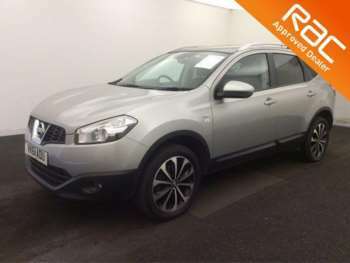 This seven-seater is perfect for larger families, and we have a range of used Qashqai+2 from dealerships across the UK. The seven-seat used Qashqai +2 is the answer for families everywhere. Its wheelbase has been extended by 13cm and the overall length has been increased by 21cm. The roof has also been raised by 4cm to accommodate passengers in the third row. As well as this, the cabin feels airier due to larger side windows and the tailgate window. The rear row of folding seats is designed to accommodate children or adults smaller than 5'3", and they can fold away or split easily. Outside, later used Qashqai +2 models have a redesigned front end. Trims include Visia, Acenta, N-TEC+ and Tekna. A range of features may be added to these models, including darkened glass and parking sensors. Then N-TEC+ and Tekna models have the Nissan Connect system, which includes Bluetooth connectivity, a touchscreen sat-nav, a colour reversing camera and a CD-player with an MP3. 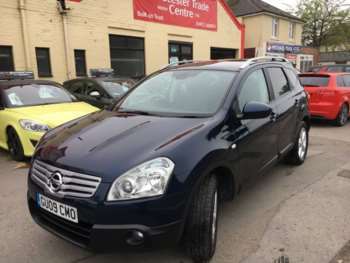 If you're interested in a second-hand Nissan Qashqai +2 for sale, then you've come to the right place. There is a wide range of engines available, including two types of diesel and two petrol units. The 2.0-litre N-TEC+ variant will whisk you to 62mph in 10.5 seconds, while its rather more sedate sibling, the 1.5 dCi Acenta, takes 13.2 seconds. The steering and suspension have been upgraded to cope with the extra 100kg of weight compared to the standard car. Overall, the used Nissan Qashqai +2 handles better than you might expect from a seven-seater, as long as you keep to the tarmac. Got a specific Nissan Qashqai+2 model in mind?